The above conversation was with an 8yr old, but has been repeated many times over when I encourage players to try something new, experiment and challenge their knowledge and understanding of the game. I always have to enter a discussion with players in an attempt to break down their long held beliefs that the coach has all the answers, that questioning the coach’s approach is wrong and disrespectful and that they are allowed to think for themselves… to have an imagination and use it. The mere fact that I have to convince players that they are allowed to think for themselves, indicates there is a problem in our coaching structures, we are forcing players to conform rather than define themselves in their own way. Why are we doing this? For what rational reason do us coaches believe players should be moulded in a way we decide, a way that ‘common knowledge’ has determined is best for players to be? Where has this practice come from and why should it change immediately? Imagine having a young Gareth Edwards or a JPR Williams in your u10 side. Would you tell them what to do? Would you restrict their decision making to that of accepted practice at the time? I believe many coaches would say no, so why do so many coaches do that to their young, impressionable charges each week? Firstly I believe many coaches possess a fixed mindset, one that determines players cannot improve; what you see is what you get – there can be no significant change or improvement. The amount of times I have heard a coach label a young player as he doesn’t have it, he/she can’t do this or that, he/she is hopeless on defence/attack etc is frightening. Once a coach possesses this belief that their players either have it or they don’t, is I believe, the point where imagination, freedom of expression and significant improvement are replaced with orders, rules, closed minded thinking, a fear of mistakes and ultimately a lack of fun. Ask each coach what their ideal player is for each position, what personalities suit a certain position or what skills players need to possess to win games in their game plan. Most will tell you very easily, but where did they get these philosophies and beliefs from? Many I believe get their philosophies from either their own playing days, or from watching the professional game where they idolised certain types of players growing up or from watching successful professional teams at the time. I think coaches then look to fill their teams with these types of players but forget that each individual is different, that the professional player became successful because of being who they are naturally. What happens when a player does not fill the ideal of the coach? Where do they fit in when they are not what the coach is looking for? My guess is that most are either tossed aside or are not treated the way they should be, creating a lack of trust between the two. Will a coach encourage imagination or be able to accept mistakes from a player they did not want in the first place? Coaches in the lower tiers of the game love copying the elite version of the game in the belief that these tactics and methods are directly transferable into the youth game, when in fact the two versions of the game are so dissimilar that a case could be made out that they are different games altogether. The recent trend of amateur coaches looking at the professional games stats and coaching with these in mind is causing them to lose sight of the stats that actually matter in the amateur and youth levels of the game. By looking at the professionals many coaches are forgetting the real purpose of youth coaching being for development, participation and fun, not the win at all costs, play for each game attitude that dominates the elite version. The critical factor being why is the coach coaching in the first place? Is it for development and fun or is it solely about winning and gaining prestige for being in charge of a good team? Just because you are called coach does not mean your u12A side are the professional side you think you could be coaching. How we determine the way each player should play is as a result of the way rugby coaching evolved over the years. I believe when a player did something new that worked (Think the goosestep, or the dive pass) or when a new tactic was employed because it was needed at the time or it was what worked for that particular team (Think rolling maul, forwards in a pod off the ruck) it became accepted practice for the lower tiers to employ these same tactics because it was what the top teams were doing. When the game went professional and the skills were isolated and drills were created to improve the skills, we all lost the ability to think for ourselves and ended up copying what we were told instead of questioning their relevance or how they could be done differently. Coaches’ imaginations stall when they merely copy, accept and implement the ‘accepted practices’ of the game (Think kicking to the corner for a maul, pick and drive, kick out in your 22m). The traditional role of the educator in the process of learning has led a vast majority of coaches to view themselves as the only source of information a player should receive and as a result players are restricted to executing one style of play, exposed to one set of beliefs and only one way to execute skills (if at all). It is impossible for a coach to know everything and even more impossible for them to teach each player all the variants of the game and the decisions needed to be executed at a certain time. The traditional way of coaching calls for the coach to teach players something first before it can be learned, but is this really the best way of transferring knowledge and is this fostering an environment that encourages imagination and creativity? My belief is this is not, players learn better when allowed to think for themselves and are encouraged to work in groups to solve problems in a way one coach may not have thought of. When players are encouraged and allowed to question every aspect of the game their curiosity and thirst to learn becomes unquenchable creating players that can think for themselves and make educated decisions. Many coaches don’t like this type of learning because it can be slower and the results are not always immediately identifiable. A coach that thrives on instant gratification of seeing an aspect of the game working after players have been instructed how to do it followed by constant ‘drilling’, do not enjoy the slower type of learning even if it is better for the long term development of the players. To create an environment that fosters imagination and creativity the coach has to remove himself/herself as the only source of knowledge and understand that players themselves, their experiments and mistakes are a greater source of learning potential and transfer than the traditional drill based, coach controlled environments that dominate many a practice field. By becoming a facilitator I believe you create an environment that becomes a potent source of innovation and improvement the fixed minded coaches never thought possible in even the worst player in the team. When each players potential is believed to be unlimited, the enjoyment factor and work rate shoot through the roof and ultimately success will follow, success that is measured by the improvement of each player and not the win-loss record of the team. Who is to say a player in your team could not change the way the game is played in the future? Where did the goose step, dive pass, chip and chase, grubber etc come from? How much more is there to add to our game in the future just by allowing our players the freedom of letting their imaginations loose? What about our coaches, how much can the game change at youth level by focussing on the amateur game rather than copying the professional game? I believe that this loss of imagination in both players and coaches has caused the game to become highly structured and predictable, something that should be seen as unacceptable but especially in the youth level of the game. I challenge everyone associated in the game to challenge their philosophies, their beliefs and the games accepted practices for the sake of encouraging imagination, creativity and curiosity in our young players and coaches. Just because it is being done by everyone else does not mean it is the only way of doing something. The sooner we start thinking out the box the better and I bet the amount of players leaving the game will considerably slow down when they realise there is always another way of doing things, not because the coach says so, but because they are allowed to think for themselves. 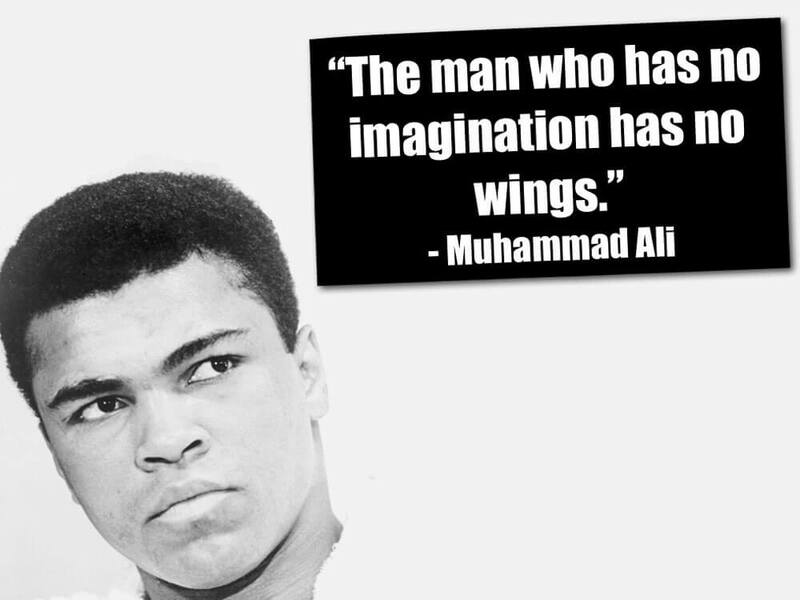 One of the greatest lessons a coach can impart on a young player is encouraging the use of their imagination. Imagine a team that thinks out the box, doesn’t follow the rules and expresses themselves whilst having more fun than anyone else ever imagined. Imagine that. Ross is an enthusiastic coach keen on learning, debating and studying all about how we coach Rugby. He is currently the UCT u20 Technical and Skills coach during the Varsity Cup. He also runs his own private coaching business, Ross Rugby where the focus is firmly on skills coaching. Subscribe to receive my latest blogs straight to your inbox!